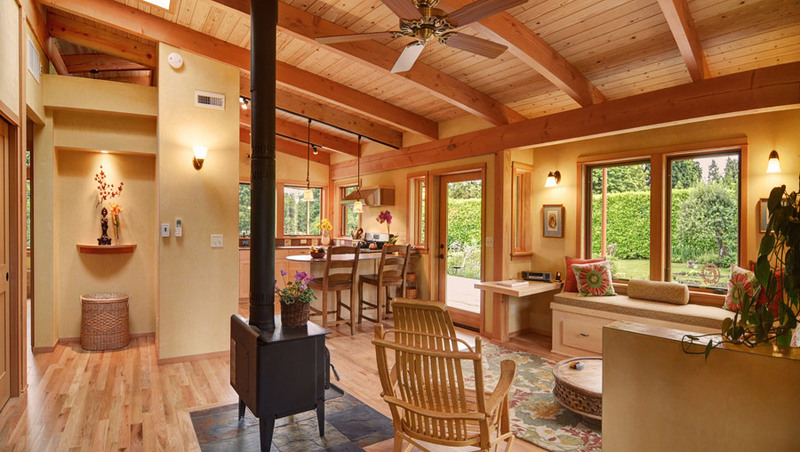 This sustainable hybrid timber-frame Mini Home combines cozy spaces with an expansive character. The interiors weave into the surrounding garden, and the home celebrates the cycle of seasons. The front porch transitions gracefully via a slate-floor entryway into the central space where the living, dining, and cooking areas overlap and interact. 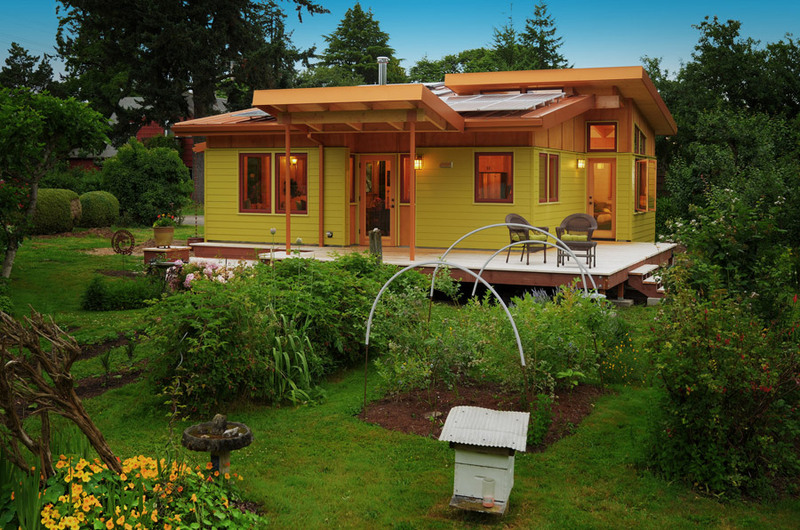 A small garden home in Eugene, Oregon. Designed by Nir Pearlson. More photos here. Absolutely Stunning, what’s the interior sq. footage? Would love to know the cost of this build!! This one isn’t exactly tiny. 800 square feet of floor space. Yeah, if I can live in a small one-bedroom apartment for years and think it’s fairly spacious, this isn’t tiny. 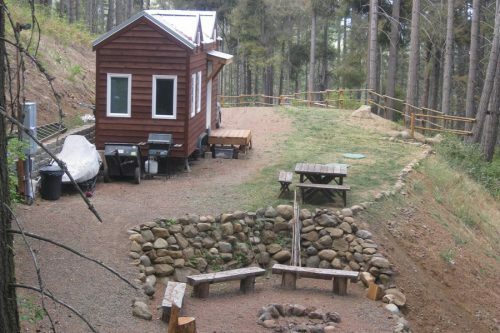 It’s not exactly one of those boxcar microhomes either. I’d love to see the bathroom – are there any photos you can post? I’d also like to know the cost to build – not necessarily to finish it out – but the base price. It’s a very stunning structure! Oh this is perfect!! 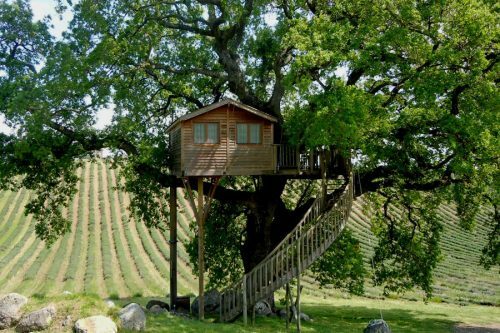 My husband and I want to build a small house and I said 900 sq ft is plenty of room for us!! Now I can show him how big 800sq ft looks!! Yay! This is twice as big as my apartment! This is the perfect size. Anything smaller isn’t practical for my psychological need to occasionally escape my spouse. how much did it cost to build? what are the materials? is it ‘green’ or truly green? 800 is prefect! Where do I buy it? So, 800 sq. 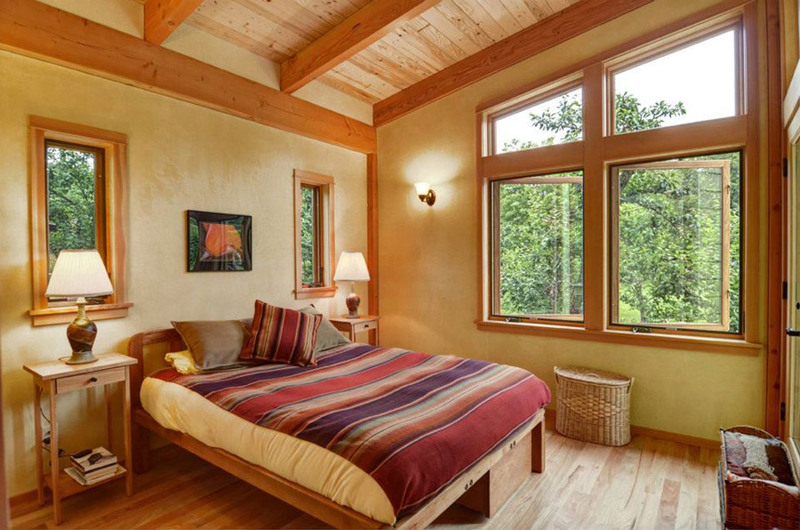 ft. is not my definition of tiny, this home is also considered affordable, wonder how that is being defined. Anyone know. 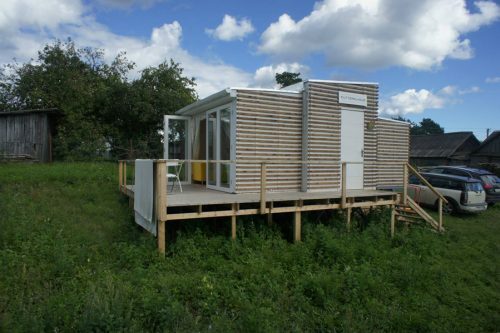 Very nice though and while I only want a cabin of 400 sq. ft. max, many of the ideas are applicable–vaulted ceiling, open space, lots of large windows, large deck, light interior, furniture and space that is double duty. Thanks for the share, would love to see more pictures. For those wanting more pictures, there is a “more photos here” link at the very end of the article. It will show several more pictures and angles. What is the price of this? Are there more pictures of the rest of the house? 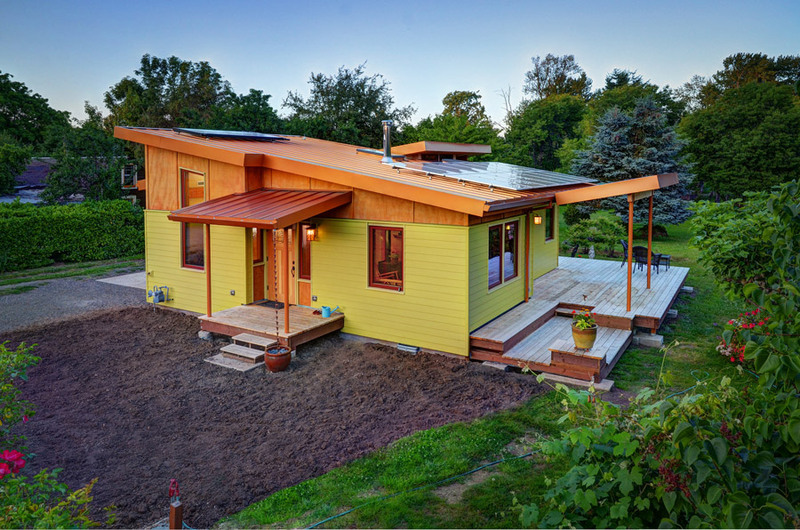 Please send more about this tiny 800Sq ft hybrid swoon tiny home..
How do I speak to someone about these houses? Do you have info on floor plans and pricing? data from through the portable computers’s program. within my hands while I was demoing at a friend. It is believed which the 3 red light errors are caused caused by the system overheating. Would like more information on building plan cost and estimated base cost.